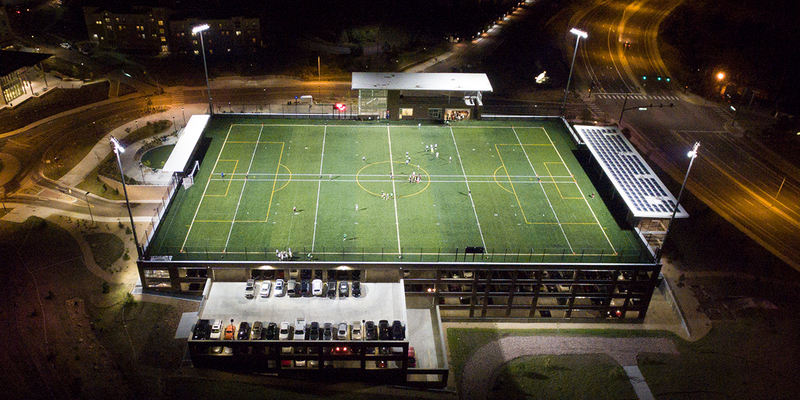 Alpine Field is built on top of a five-level parking garage and hosts football, soccer, rugby, and lacrosse. 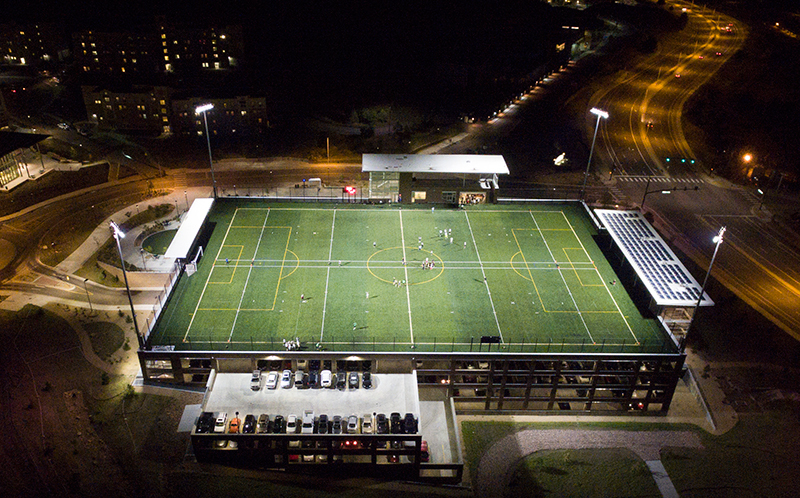 The prior lighting was installed before the field opened in 2014. 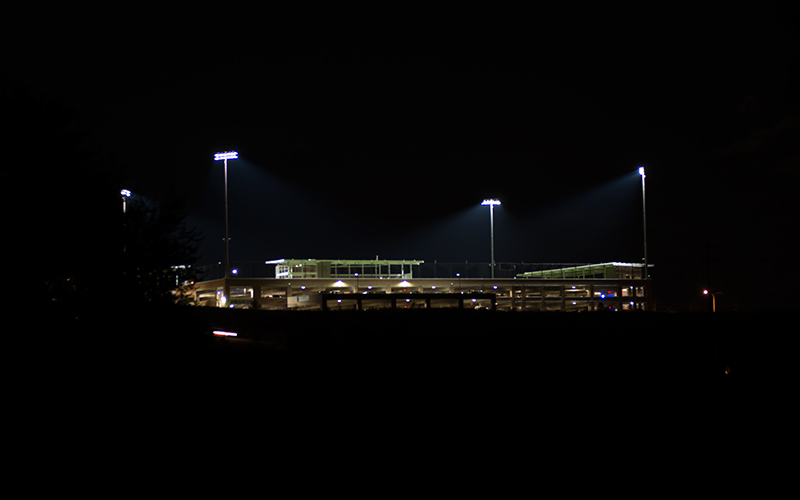 Soon after the opening of the field, the University received numerous complaints from area residents because of the excessive glare being created by the lights. Even though the original design met horizontal spill requirements, light from the luminaire was creating glare viewed from their homes. 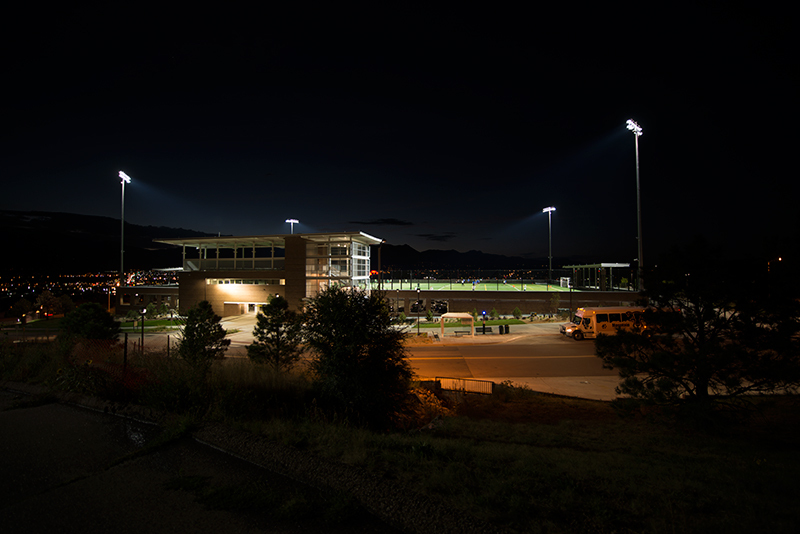 After the original lighting supplier was unable to find a solution, UCCS contacted Musco’s Colorado Sales Representative to meet on site to see what could be done to remedy the issue. Within days, Musco’s technicians and engineers were on site examining the situation. The original lights were installed on four 90-foot poles at each corner of the 85,000-square-foot field. 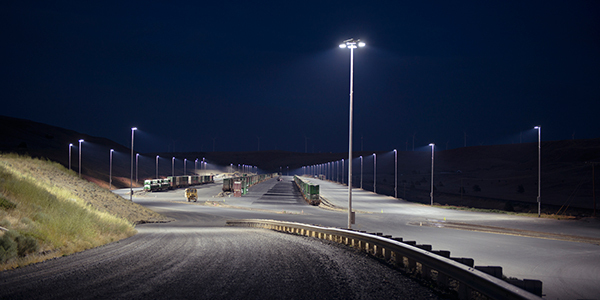 The challenge was to find a solution that would still use the existing poles, but would significantly reduce the amount of glare and spill light. 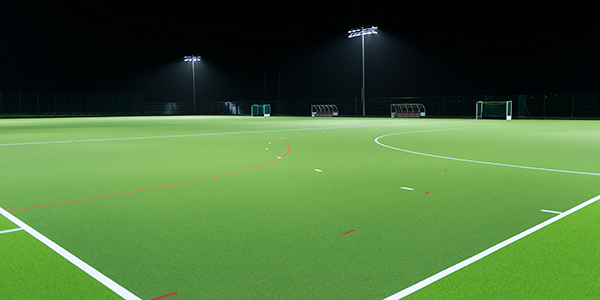 The solution was Musco’s SportsCluster® system, which provides a more focused light on the field by reducing wasted spill light and glare. 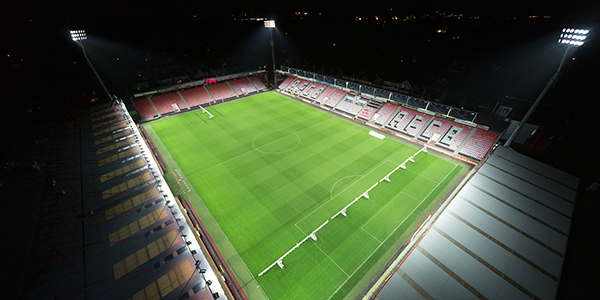 The new system delivers to Alpine Field a cleaner, brighter, more uniformly distributed light. It has also reduced energy consumption at the facility. In fact, the new system cut energy consumption at Alpine Field by 53 percent.